Dr. Lieto received his Doctorate of Dental Medicine at Case Western Reserve University which followed his completion of undergraduate studies at Michigan State University. 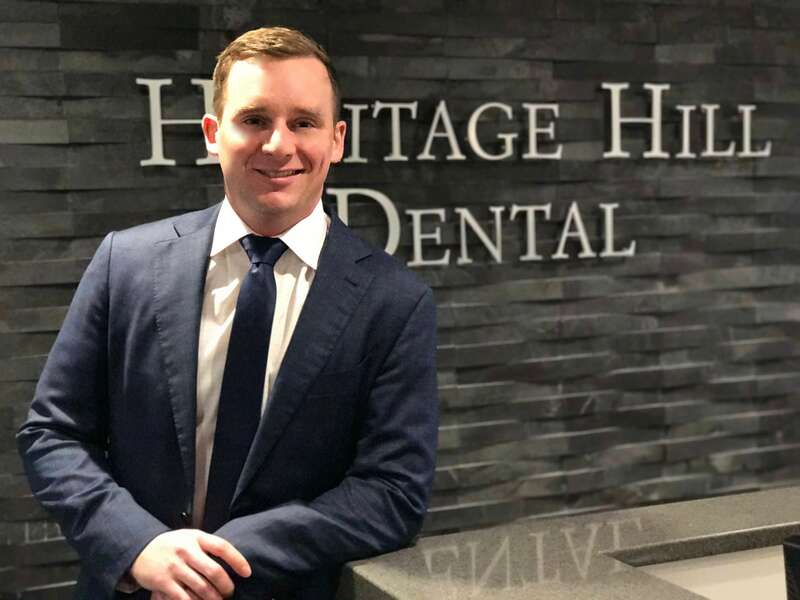 After graduating from Dental School in 2010 he completed a two year associateship and formed Heritage Hill Dental in January of 2012. Dr. Lieto is proud to be a member in good standing of several professional organizations: The American Dental Association, The Michigan Dental Association, West Michigan District Dental Society, and the Chicago Dental Society. He is the Chair of the New Dentist Committee for the Michigan Dental Association and volunteers in other areas of organized dentistry. He considers membership in these organizations imperative for keeping abreast of the latest developments in all phases of dentistry. Dr. Lieto’s goals are to develop purposeful relationships with his patients by promoting an honest, respectful, patient-focused atmosphere. He spends numerous hours in continuing education courses to stay apprised of the most current aspects of dental technology and restorative dentistry. When he is not at the office he enjoys a variety of activities such as travel, skiing, golf, cooking, and attending MSU sporting events. Carole graduated with an Associate's Degree in Dental Hygiene from Ferris State University in 2014. She then went on to complete her Bachelor's Degree which she finished in 2015. Carole has been a part of the Heritage Hill Dental team since June 2016. Patient care and attention to patient needs is truly Carole's passion. Carole is also very involved in her local dental hygiene association and has served as a board member since 2016. In her free time, Carole really enjoys being outdoors and staying active. She loves snowmobiling, going to concerts, and spending as much time as she can with her puppy. Carole is also a big Michigan State Spartans fan... GO GREEN! Traci is a 1986 graduate of Ferris State University with an associate's degree in Allied Science. She also holds a certification in administration and monitoring of Nitrous Oxide & Oxygen Sedation from Grand Rapids Community College. Traci has been practicing Dental Hygiene for 23 years, the last 19 with Dr. Weny. Traci is married and a mother to three beautiful daughters. She stays active in her church, children's activities and her professional dental hygiene association. Traci enjoys connecting with her patients and helping them achieve healthy smiles that can last a lifetime. Sara graduated from Grand Rapids Community College in the spring of 2002 with a degree in dental hygiene. She has been part of Heritage Hill Dental practice since February 2016. When not working, Sara enjoys spending time with her husband Zach and daughter Leah. She is a huge animal lover and has 2 dogs and enjoys riding horses . Lezlee has been a dental assistant since 2001 and still enjoys providing quality patient care. Her favorite part of assisting is making patients laugh and helping them feel at ease in the dental chair. She is sensitive to their needs and looks forward to establishing lasting relationships with her patients. Lezlee is a mother of two great children, Max and Isabella. In her free time she enjoys cheering for her kids while they're playing their respective sports, watching college football and basketball, and the occasional evening out with her friends. Jessi graduated from Olympia Career Training Institute in October 2005. She is passionate about dentistry and educating her patients regarding their treatment needs. Jessi is married to a loving husband with whom she has 2 wonderful daughters. Being a mother gives Jessi a natural, caring touch with all patients, but especially children who feel relaxed and comfortable while they are under her care. When Jessi is not at work, she is with her family enjoying the outdoors. They spend many weekends up north at her family's cottage on the lake.